Jeremiah Lloyd Harmon said he hopes to "bring hope" to others through his experiences. Connecticut's Ella Briggs was sworn in as her state's "kid governor" in January and ran on a pro-LGBTQ platform. "My Heroes" wants kids to know it's "OK to be who you want." 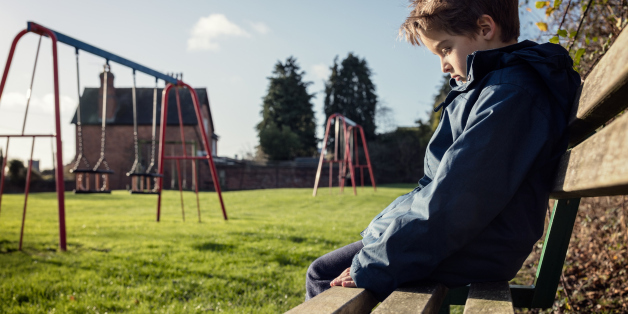 Americans have been talking about bullying and its negative consequences in recent years more than ever before, but the popular discourse on bullying reflects a number of incorrect assumptions about who bullies are and whom they target. One of the biggest reasons I hear from parents why they don't discuss gender and sexuality with their children is, "they're too young to understand." What I hear with that response is, "it's not something I understand or am comfortable speaking with them about." Children will learn anything we teach them. In the next few days we are headed home for the holidays, something often traumatic in itself. We may get misgendered or be subject to countless other forms of discrimination; now we must spend time with family members who have voted against us and we feel that much more emotionally vulnerable. I am tired of trying to explain to Mormons why it is that saying you love LGBT Mormons isn't enough. New Mormon Website Says It's Okay To Be A Gay Mormon. Well, Sort Of. As Mormons, we don't really love LGBT people as ourselves. We love them as something less than us. Every article, video, and section of the website is underpinned with a single notion: LGBT people are, at their core, broken, afflicted, and a little bit less than whole. What does it mean when we have no gay leaders of the church? How do gay members make sure their point of view is seen by the leadership and their concerns are heard? One of our favorite holiday events. Brian Justin Crum said it was "an honor" to stand up for bullied LGBT youth.